They're back, and they brought an actual coherent story. Listen, you guys don't need me to tell you what most of the Co-Opticrew will be up to this particular weekend. 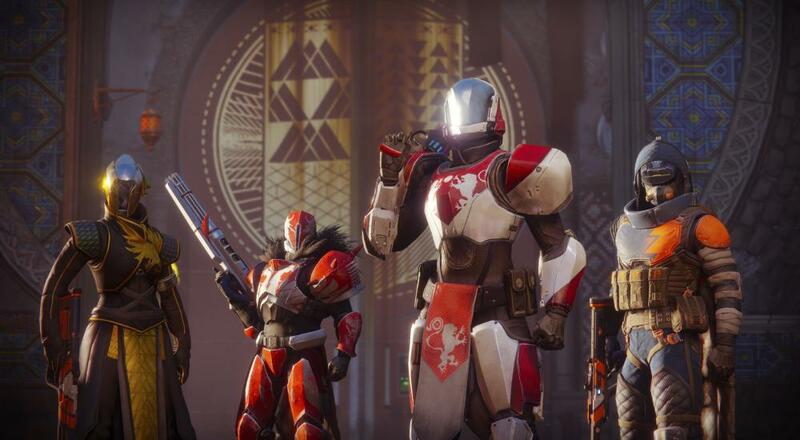 Bungie's latest co-op loot shooter has arrived in the form of Destiny 2, so you know we'll be playing it until our eyes bleed. I will say, though, that I honestly wasn't expecting it to just barely edge out a loot shooter that's half a decade old. I guess that just goes to show that you can never truly escape the siren call of better loot. Those of us who won't be making the numbers get bigger will be gaming locally, on tabletops, and in low resolutions. Check it out! Nick Puleo (@NickPuleo) - "Destiny 2 is likely on the agenda. Pining for the PC version. :("
Mike Katsufrakis (@Pheriannath) - "Space magic in Destiny 2." Eric Murphy (@smurph_em) - "We'll be continuing our Borderlands 2 campaign while we pester Baldy with questions about Hurricane Harvey. Watch our stream tonight and you can ask him questions too!" Marc Allie (@DjinniMan) - "Mostly gaming on the Switch this weekend. Disgaea 5 and Splatoon 2." Locke Vincent (@LockeVincent) - "Tooth and Tail for review, and Destiny 2 for space magik." Tally Callahan - "Overwatch and hoping to get a new board game or two to the table." Sam Tyler (@thereelsamtyler) - "I bought the Goldenaxe trilogy in the sale, so that is me sorted for this weekend and perhaps the rest of the year." Enoch Starnes (@enochstarnes) - "I'll be out of town for a couple concerts, so it'll be lots of local gaming (and dreaming of Destiny 2) for me." Matthew Squaire (@mattaghetti) - "Going to a few concerts with friends but REALLY trying to wrap up Borderlands 2 and start on Divinity Original Sin." Please take our survey in the comments section below. You can let us know if you are either A) Playing Destiny 2, or B) A Liar.